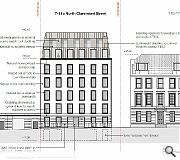 Do Architecture are proposing to up the density at North Claremont Street in Glasgow’s West End conservation area through the addition of 12 flats. The seven-storey build is defined by a large mansard metal roof containing twin high-level duplex flats, each with access to their own private terrace. Detailed with perforated metal this sits on top of the bulk of accommodation below finished in natural stone cladding. 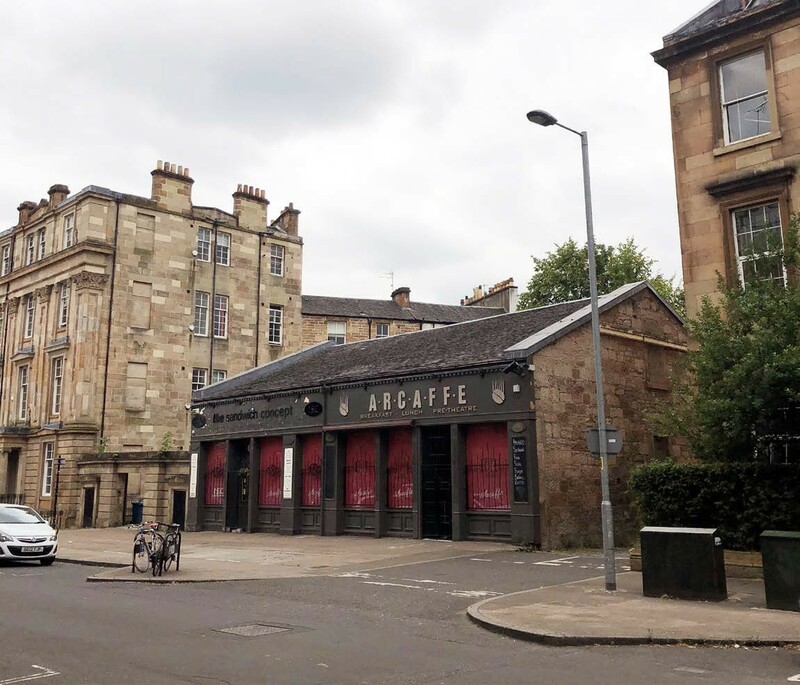 Taking the place of a denuded tenement, stripped of its upper floors at some point around the mid- 20th century, the new build will largely occupy the same footprint but reclaim a rear courtyard to serve as a parking and amenity space. The mansard roof echoes a similar addition added to Dachgeschoßaufbau Gußhausstraße, Vienna, Austria by BWM Architekten. stack em high, sell em high too! I'm not convinced these proposals are especially suited to their surroundings. I think this new building will look rather mean and slab-fronted by comparison with everything around it. I see the old design classic - "we'll match the eaves with the neighbouring building and slightly step back the roof and people wont even see it". Seen all over Glasgow like the build next to the Mitchell. Appalling design. If they are doing this may as well double the height. Sandstone cladding looks terrible - it does not end up looking like Victorian sandstone blocks. DOn't architecture! Another development that has nothing to do with its surroundings and everything to do with developer profit and GCC incompetence. I wonder if they have the drawings for their 'revised proposal' ready waiting already? Lop off top floor and raise height of GF to those neighbouring. I should bloody hope so anyway. Pathetic otherwise. And still not good enough by far. 4 storeys of bland between an over the top roof and reasonably sympathetic ground floor. It’s farcical that they think this is suitable or that they have a hope in hells chance of getting this approved in a conservation area. 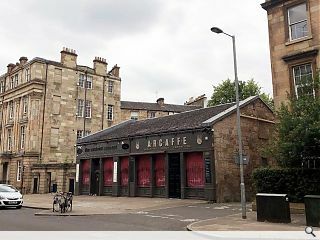 The height of the building should reflect the hierarchy of streets and not exceed the height of adjacent buildings on Sauchiehall Street.